When you think of St. Louis, one magnificent architectural marvel comes to mind – the Gateway Arch. Standing 630-feet tall, its stainless-steel facade and unique shape combine to create a breathtaking symbol of our spirit to grow and discover. The man-made monument is the vision of renowned architect Eero Saarinen, who saw his design come to life upon the completion of the project in 1965. 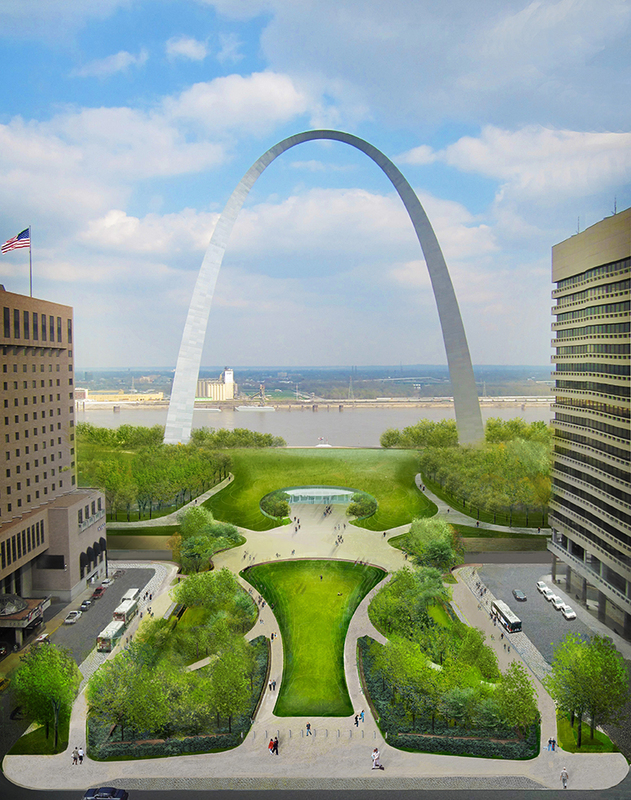 Included in his plans was the idea to transform the Arch grounds into a vibrant hub that would better connect the beloved attraction to downtown St. Louis and the Mississippi riverfront. 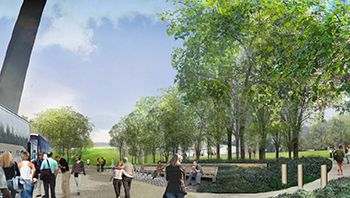 Nearly 50 years after the highly anticipated unveiling of the Arch, a modern interpretation of Saarinen’s aspirations for the park will be brought to life through the CityArchRiver project. The renovation began in 2013 and continues as the monument recently celebrated its 50th anniversary. It focuses on honoring the character of the iconic landmark, while making the Arch grounds and riverfront safer and easier to access. Through this inventive transformation, which encompasses the vivacity of the region and spectacular beauty of the surrounding riverine landscape, the national treasure will once again become a popular destination for locals and tourists young and old. Countless benefits and attractions will be brought to the area through the creation of lush, urban park space, beautiful bicycle paths, children’s play areas and outdoor performance venues. An inviting plaza, complete with serene paved trails and bus drop-off zones, will bridge the gap between downtown, the Old Courthouse and the Arch grounds. It will open into a stunning new park extending over I-44 between Chestnut and Market Streets, which will create a safe pathway for pedestrians to reach the grounds. The incredible project memorializes the dreams of historic explorers and important figures from the region’s past, while creating an innovative space that will inspire the dreams of future generations. Visit www.cityarchriver.org for details and updates on the exciting transformation.